Too often, the aesthetics of a website are given more thought than how a user will navigate it. However pretty a site may be, it is useless if users can’t find what they’re looking for. Understanding how your users are finding, interacting with, and purchasing on your site will allow you to design a more user-friendly experience, eliminate unnecessary or confusing calls to action, and ultimately increase conversions. The first element of designing a successful site is understanding user intent. User intent is the information the user is after when conducting a search query. It’s usually thought of in the context of keywords and search queries, but for a successful user experience, it is important to expand this definition. 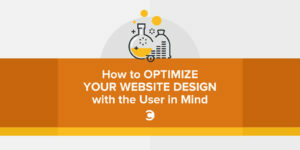 Let’s go beyond just thinking in terms of SEO and start thinking of user intent as the users’ goals on your site. When you take this into account, you can go past just getting customers to your site. You are now thinking about the user’s entire experience on your website and ultimately how to convert them into customers. When studying user intent, there are three categories that can help you organize the traffic patterns you are seeing. Once you have identified each of these groups, you can address their individual needs to make sure their experience on your site goes as you intended and, more importantly, as they expected. First are the informational users. These are the users that are looking for more information about your product, your company, or how to contact you. Next, we have the educational users. Educational users are looking to learn about industry-specific topics. They are trying to find answers on how to solve a particular problem or fulfill a need, but probably don’t have a specific solution in mind yet. Finally, our favorite group, the transactional users. Transactional users are ready to download something, sign up for something, or make a purchase. These users come to our site with a clear plan of action, and so it is of the utmost importance we make it easy for them to execute that intent. How Do You Determine User Intent? Now that you have categorized different types of users, you can start identifying and analyzing each group’s traffic pattern. A great way of determining your users’ intent is by analyzing the Users Flow report from Google Analytics. With this report, you can track where the users started (the source), what they did while on your site (the traffic), and where they left your site (hopefully, the “Thank you for your purchase” page). Learning how to set up and configure the users flow report is well worth your time and effort. Once you have the report up and going, you can begin to analyze the flow of your users and get a better understanding of how you can improve your site’s design. Once you have an understanding of how these three types of users are experiencing your site, you can begin to identify and resolve any trouble spots. The best place to focus your efforts is your navigation bar. By focusing your efforts on your nav bar, you will be able to address any navigation issues you identified in your Users Flow report. First, identify categories and subcategories for your company, products, and services that are clearly defined and easily understood by your users. This is creating your content hierarchy. Think of this like organizing the aisles of a grocery store or creating an index for the content of a book. This isn’t the place where you want to reinvent the wheel. Users expect some consistency with established convention. Stray too far from these conventions, and users can get frustrated and quickly leave your site. One tactic you can use is organizing by the different user categories. For our informational users, we need to create an “About Us” page. This is where we can answer questions about our company, our products and services, and the area or clients we serve. For our educational users, we need a blog or some other form of instructional content. This is where we can provide content that highlights trends in the industry, discusses issues, and clarifies common industry questions. Finally, for our transactional users, we need to provide easy access to product-specific pages that make the purchasing process clear and simple. Informational users can get everything they need about the company from the categories in the top right. Educational users will navigate to the far right to get to the blog or podcasts. Transactional users will use the categories on the left to start the purchase process. If your target audience can be grouped into different categories with varying needs, then this type of organization will work best for you. Organizing your nav bar based on the type of customer allows you to group specific products and services or content together that would be most beneficial for that customer type. This saves your customer time by putting all the information they would need in one place. It’s important to note that if your customer base cannot be clearly separated into types of customers, this type of navigation can create confusion and frustration. You want to be sure your customer categories are very distinct. Let’s look at the nav bar for TransUnion’s SmartMove division, for example. The customer base can be clearly split into (1) landlords and (2) renters, so they have set up their nav bar to clearly reflect this. The subcategories included in each category are specific to that type of customer, making it easier for customers to find what they’re looking for. A product-centric approach takes a look at what clearly definable products or services are provided and builds the navigational categories from there. If you are able to easily categorize your products or services, this can help your user gain more information about a category of products before navigating to individual products within the same category. A good example of this approach is the health and beauty company, Colorescience. By organizing their products into clearly defined categories, a user can easily find the product they are looking for within the category that it would fall under. For example, if a customer is looking to learn more about products offering (1) UV protection, they know exactly where to go. Now that you have an idea of what organizational approach you want to take with your navigation bar, it is important to avoid some common mistakes. The main goal of the nav bar is to provide clear choices that enable users to make quick decisions on how to accomplish their intended goals. Providing too many categories makes it harder for the user to know which path to take. Limit your navigation bar to around five to seven categories. Not only does this make it easier for your user to know exactly where to go, but it also makes your site more visually appealing across multiple devices and screen sizes. To see a good example of what not to do, we’ll need to go back a couple years to Microsoft’s site from 1999. Back then, they had three separate nav bars that each contained too many categories. Users presumably had a very difficult time finding their way around the site, since they were given so many options. Choose specific words and phrases, and try to limit them to 12 characters or less. Again, you want to stick to convention here. For example, “About Us” is commonly used for company and product information. It is easily recognizable, and your users will quickly identify the purpose of this link. Changing it up to “Who We Are” can slow this process down and frustrate or confuse some users. You also want keep wording short and sweet. Instead of using “Pricing Information,” just use “Pricing.” Instead of “Our Weekly Blog,” just stick with “Blog.” The simpler, the better! Let’s take a look at healthcare company Inovalon and their website. While it isn’t necessarily wrong to word their categories as they do, it may make it difficult for users to determine which category to click on, especially considering they do not implement sub-menus. For example, if a user is looking for more specifics about what the company does, they may be able to find this information in each of the four categories. Use second nature to your advantage. Because we read from left to right, users naturally expect informational categories to be listed on the left, as they want to learn more before taking a next step. Using that same logic, users expect to categories that allow them to take action, like “Contact Us,” to be on the right side, or the end of the nav bar. This allows a user to gather information and then take action in the order that they expect. One exception is your home link. You want to keep the home link furthest to the left because users choose that link to return to the beginning, or make a backward action. Think of the rewind and fast forward buttons on a remote. When we want to move forward, we push the arrows pointing to the right, and when we want to go back to something, we push the arrows pointing to the left. It’s simply second nature. While a horizontal navigation bar is most common, there’s nothing wrong with a vertical nav bar. The right-to-left rule obviously doesn’t apply for vertical nav bars, but a similar top-to-bottom rule takes its place. Just like in the right-to-left rule, users read top-to-bottom, so it’s only natural to organize your nav bar in that way. Our final example comes from Zervice, a service that syncs up with Salesforce. They make use of a vertical nav bar, but automatically start the user at the bottom of the page. While they do make it clear where users should start (1), it doesn’t allow for a logical navigation through the website. Understanding the different types of users that visit your page and their intent once on the page can help significantly improve the flow of your website. You now know how to use user intent and traffic patterns to better understand how your users are navigating your site. You can use this information to improve the organization of your site and allow for a better user experience. 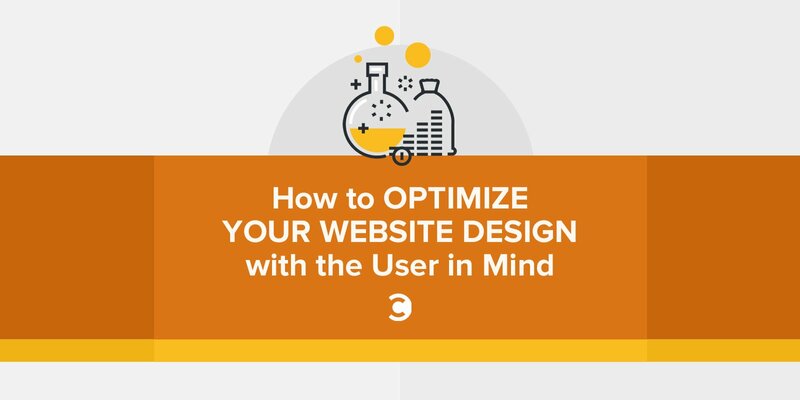 By optimizing your site’s design with the user in mind, you will ultimately make it easier for customers to make a purchase. Nicole Stelmar is a Managing Editor at 365 Business Tips, a website focused on providing business owners with tips on how to improve all aspects of their business. Nicole specializes in helping small businesses grow their digital presence through SEO and content marketing.